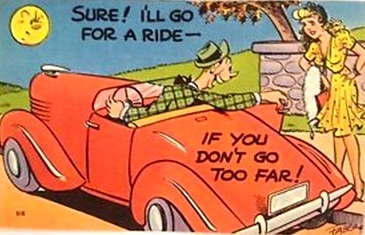 This entry was posted in Art, Automobiles, Entertainment, Fun, History, humor, Love and Relationships, Uncategorized and tagged Car, convertible, flirting, go too far, hitchhiker, pick up, postcard, vintage, wolf. HA! Looks like the moon has an opinion!